From the View Transactions tab you can see a list of all of the transactions you have entered into the software. Here you can sort the transactions by number, date, type, description and amount by clicking on the heading.You can also edit or delete your business transactions. You can also edit multiple transactions by selecting transactions and clicking ‘Edit Checked’. This is handy if a mistake has been made across lots of transactions. This will allow you to filter transactions by date range, type, category, account, tax code and even project (as below). 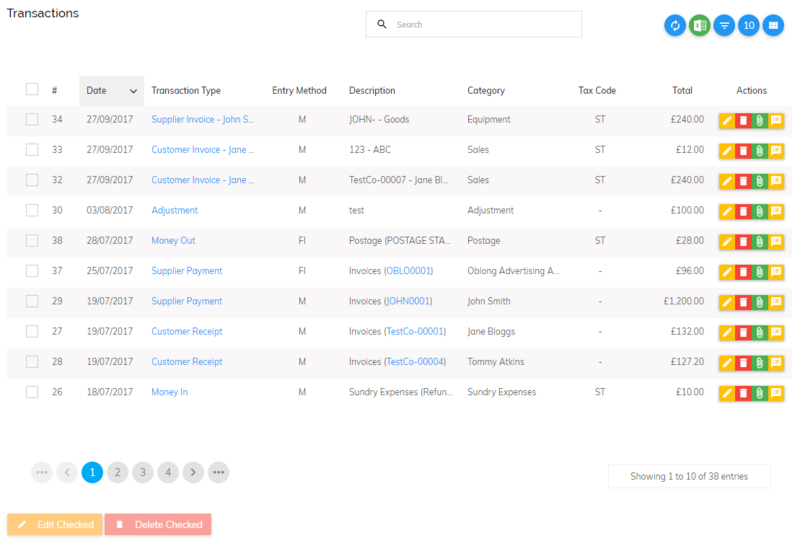 This function is useful for narrowing down transactions you wish to view or edit in bulk. To learn more about editing or deleting transaction in bulk click here.